Great news!! We just started moving Luke into his dorm room when we got the call from Rochester. The doctor said there is no evidence of malignancy in his biopsy. Thank God!! This doesn't mean he's out of the woods as when Luke asked if that means he doesn't need a transplant and the doctor replied "You want a black and white answer and I can't give you that." He then followed up with "the only thing I want you focused on right now is getting a good report card!" 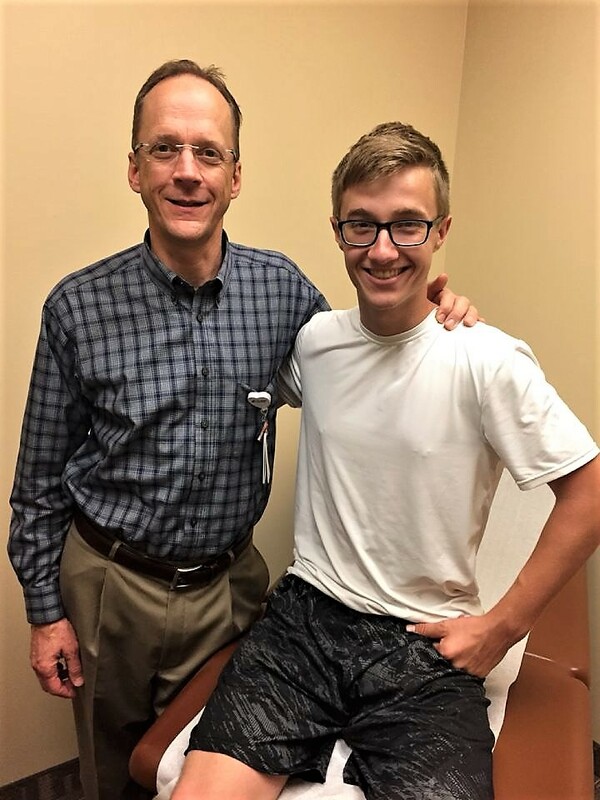 We have always known that Luke would probably need a transplant at some point in his life, but the longer we can wait, the better! Right now he gets to focus on being a college freshman and we can worry about those things later. Thanks so much to all of you for the prayers and positive thoughts!! We truly believe your support has carried us through to where are today!! 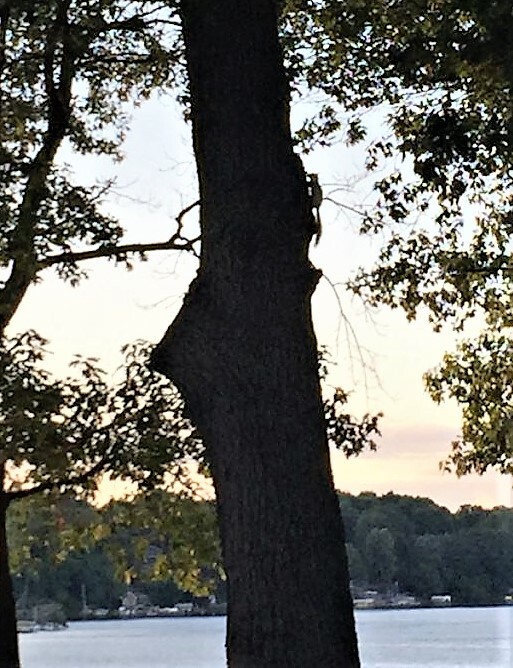 Long time readers of my blog will know about our history with albino squirrels. Since our boys were born more than 18 years ago, we've had numerous encounters with albino squirrels and often times we'd see them when we were having concerns with their medical situation. I think people think we're a little bit crazy when I tell them this, but it just keeps happening. 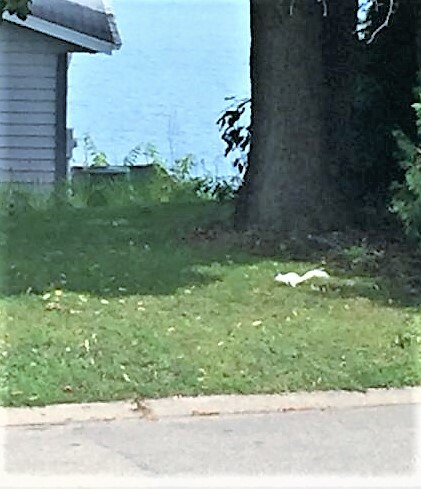 When Luke arrived home from his biopsy in Rochester on Tuesday, he saw this albino squirrel across the street from our house and Miss Sheri was able to snap a quick picture of it. When we arrived home after dropping Luke off at college, Avery and I took the dog for a walk and this albino squirrel ran out in front of us. Some people like to tell me this is just a series of coincidences, but we like to think of them as our Guardian Angels. They just appear to be magical creatures telling us that everything is going to be OK. This was Luke's first trip to St Mary's Hospital at the Mayo Clinic. It's a very interesting place with so much medical history having been made there. I find it fitting that Luke receives the treatment to make his life better at the same hospital where doctors created my thumb for me back in 1970 when I was only 6 weeks old. According to Wikipedia, William Worrall Mayo settled his family in Rochester in 1863 and opened a medical practice that evolved under his sons into Mayo Clinic. Mayo Clinic is widely regarded as one of the United States' greatest hospitals and ranked No. 1 in the country on the 2016–2017 U.S. News & World Report List of "Best Hospitals" of the United States, maintaining a position near the top for more than 25 years. Please keep the Lippert family in your prayers also. Avery had his annual check up with the cardiologist to see how his surgically repaired heart is doing. We are pleased to say that his appointment went very well and there doesn't seem to be anything new to be concerned about. Thank God for that as I don't think our family could have handled anything new with Avery this week. 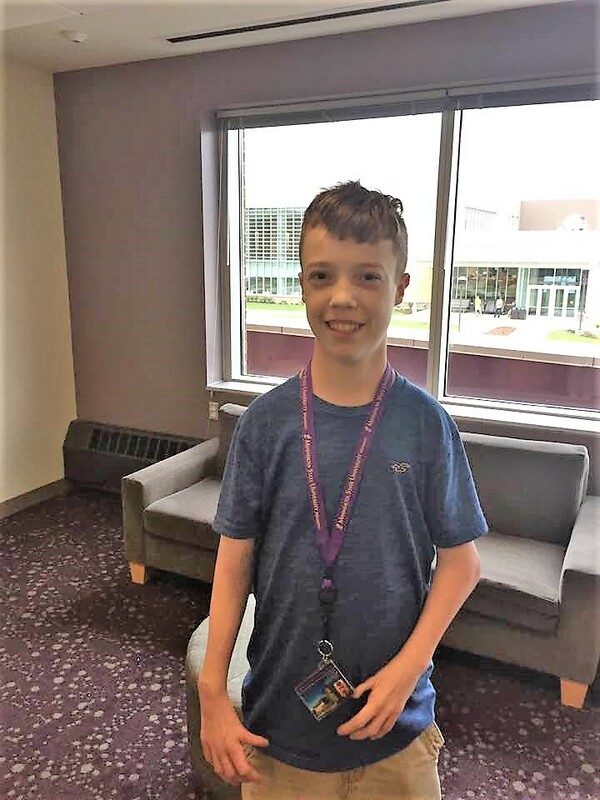 Luke and one of his oldest friends, Jackson Walters, started school at Minnesota State University Mankato this week. Luke isn't quite sure yet what he wants his major to be but has indicated interest in business and science. He's focusing on general ed classes for the time being while he figures out what he wants to do with his life. It's only about an hour drive from us to see Luke on campus, but everyone keeps telling us he's not supposed to come home until at least Thanksgiving. He's only been gone three nights so far, but I already miss him. I think he misses us too, but I wouldn't know as he hasn't really been calling us yet or anything. I suppose that's a good thing. We had fun with the Walters family helping the boys move in to their room. I was pretty impressed with how nice they have it. Way better than where I lived in college. I literally spent two years living inside a walk-in closet. The nice thing about Mankato is that there's lots of people from Prior Lake who go there so we see people we know. Like our old friend Dayna Bunker who's going to be a junior this year and was helping the freshman with move in day. We thought that was pretty nice of her. On Saturday night, Avery and I took Miss Sheri out to dinner to celebrate her 50th birthday. I can't believe my wife is 50 and I'm so close behind her. I still feel like we are in our twenties! We weren't sure if we were going to be in a celebratory mood or not giving the news we were waiting to receive on Luke so we waited until the last minute to plan a party for her. She decided she wanted to sing Karaoke for her birthday and a bunch of really fun people showed up to participate. We're so lucky to have so many good friends in our lives. We pretty much closed down TJ Hooligans and sang and laughed with each other until after midnight. Miss Sheri got to sing with Elvis which always makes for a fun night. We also had several of our good friends up there singing as well including Sue and Dan-o doing a duet. A good time was had by all!